As you probably read, saw or otherwise heard this week, former New England Patriot quarterback Drew Bledsoe visited the State House to meet with lawmakers and the media. Bledsoe was advancing the notion that out of state wineries should be able to ship wine to Massachusetts residents. If you're new to the story here's a brief history of the battle surrounding the direct shipment of wine in Massachusetts. Bledsoe's celebrity from his time with the Patriots combined with his ownership of Washington based Doubleback Wines makes him the perfect person to bring more visibility to this long standing issue. I thought the strategy behind his appearance was brilliant. The story most repeated from his visit was a tale of Tom Brady trying to order a case of Doubleback and not being able to ship it to Massachusetts. Brady instead "shipped to a friend/relative in another state" - a maneuver many of us are all too familiar with. As the story (surely embellished) goes Brady's father in California drank the entire case of $89/bottle Cabernet before Brady had a chance to try it. Even if that tale isn't entirely true it's one that uses familiar names to illustrate how, basically, annoying current shipping laws are. One thing worth noting is that Bledsoe's wine is distributed in Massachusetts. I see a lot of people asking where they can buy it. The best way to find where it's currently available in Massachusetts (or any wine in any state for that matter) is to use Wine-Searcher. Here's a link showing where Doubleback is currently available in Massachusetts. A natural question that might fall out of this is why direct shipment is important if wines are already available here? Well, for one thing, there are thousands of small production wines that aren't distributed here that enthusiasts would like access to. When this happens, enthusiasts ship wines to neighboring states which is a hassle and generates tax revenue for neighboring states. More on that scenario here. But even when a specific winery is distributed in Massachusetts we'd still like the option of buying directly from the winery. This is most typically to gain access to wines in high demand with limited availability. Or specific bottlings produced in small quantities. Or because we're just interested in establishing a direct relationship with the winery. If you're on the mailing list and a regular customer you're more likely to be given special treatment when visiting a winery or informed of events in your area. In total, restrictive direct shipment laws make it inconvenient for wineries and wine enthusiasts to do long-term business together. It's just not right. Some might even say they're unconstitutional. I spoke with Jeremy Benson from Free the Grapes yesterday. After Bledsoe's visit I sensed a "Now what?" vibe in the air. The media seemed excited to get pictures of Bledsoe, and legislators seemed thrilled to get their pictures taken with him. But where do we go from here? Benson acknowledged that in Massachusetts politics "nothing happens quickly". A tangible mid-term benefit of the Bledsoe visit is that when a wine shipping bill comes up for hearing the media will hopefully be more apt to report on the story and supportive legislators will be more apt to make this issue a priority. It's one of those "important but non-urgent" things that seems to elude action for too long. H243 is notable (to me) because my representative Alice Peisch is listed as a petitioner. I believe this is the first time I've seen her support one of these bills in this manner. After discussing this issue with her over the years in person, on the phone and via email I'm pleased to see her officially on board! H294 seems to have the most momentum behind it at this point. It's sponsored by Theodore Speliotis who previously chaired the Joint Committee on Consumer Protection and Professional Licensure - the committee these bills are heard within and historically (and unfortunately) "stuck" within. Visit the Free the Grapes Massachusetts 2013 landing page. They do a great job keeping us up to date on this issue and make it easy to help spread the word and write our representatives. Free the Grapes is going to be at Wine Riot Boston April 5th and 6th. Stop by and visit with them to learn more and find out how to help. Thanks for subscribing to The Wellesley Wine Press for future updates! Although Napa Valley has a reputation for being the most prestigious locale for wine production in the United States, it's not known for being a great location for Pinot Noir. It's too hot. It's better suited for Cabernet Sauvignon and Chardonnay (which is able to do relatively well seemingly everywhere). Sonoma is more famous for Pinot Noir. The Carneros AVA straddles both Sonoma and Napa, is cooler than the rest of Napa, and can produce some fantastic Pinot Noir. So there are definitely examples of great pockets of Pinot Noir production within Napa Valley. A few years back, I stopped in to visit Wine Spectator's offices in Napa. 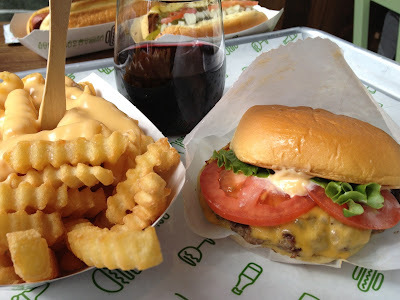 I met with Senior Editor James Laube who tastes, reviews, and writes about wines of California. I asked him which California Pinot Noir regions he felt were on the rise. The first he mentioned was Carneros. 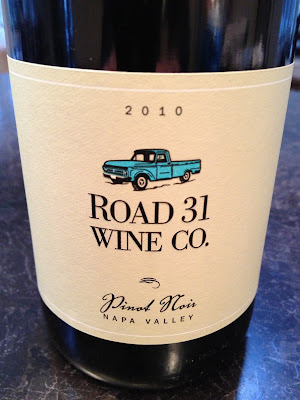 The 2010 Road 31 Wine Co. Napa Valley Pinot Noir is, I think, a tremendous example of what he was talking about. 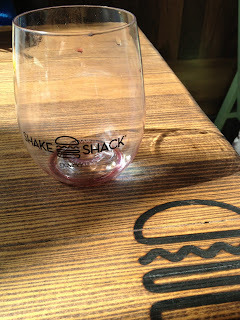 Of what cooler climate Napa Valley Pinot Noir can be. Reading through the letters (release notes and seasonal updates) on Road 31's website you feel like winecrafter Kent Fortner is as down to earth and fun to know as you can imagine a winemaker being. I really like what I've discovered so far. Delightfully aromatic yet light in color and quick on its feet. It opens with an appealing combination of red raspberries and strawberries backed by stemmy aspects that provide an appealing herbal complexity without imparting bitterness. I'm surely biased by the label and backstory, but there's something handcrafted and authentic that comes through when tasting this wine. Fantastic stuff. You know what wine this reminds me of? A wine I discovered last year around the same time my friend K.C. shared this bottle with me. Vaughn Duffy. Between these two I've got a pair of fantastic new California Pinot Noir producers I'd like to have on hand going forward. Question of the Day: Any newer producers you've discovered lately? Wine Spectator's Grand Tour is a self-paced walk around wine tasting featuring 200 fantastic producers, each pouring one of their signature wines. Many of the wineries send the winemaker and/or owner. The tasting includes a light buffet and a souvenir Riedel wine glass and costs $200. So many of the wines being poured are hard to find at retail. Like Kosta Browne for example. Many of the wines are being poured by the winemaker or owner. Like Pontet-Canet for example. 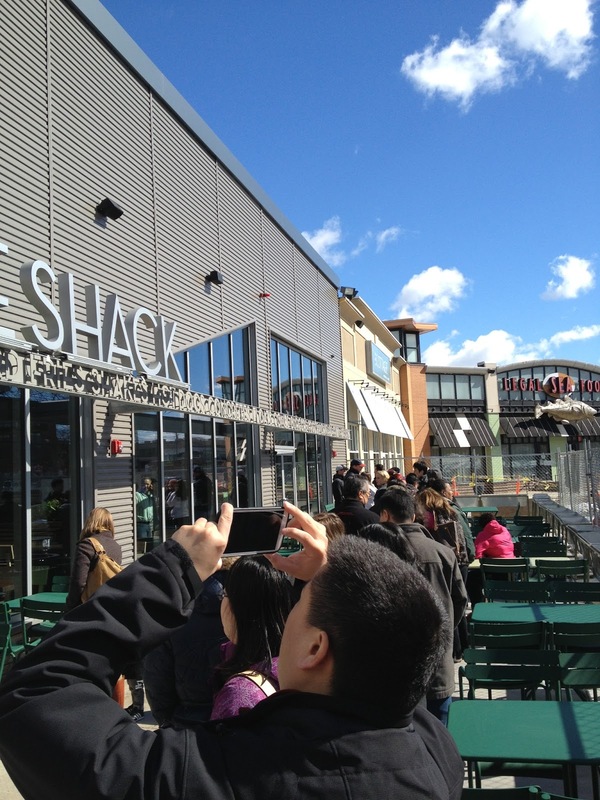 The event wasn't overly crowded, at least the 2011 event in Boston. You could walk up and get a taste of $200++/bottles of wines like Chateau Margaux or Mouton-Rothschild no problem. Note that these Grand Tour events are not to be confused with Wine Spectator's New York Wine Experience which features sit-down seminars where Wine Spectator Editors moderate tastings of the year's Top 10 wines and such. That event is in October 2013 and costs quite a bit more when attending the seminars. 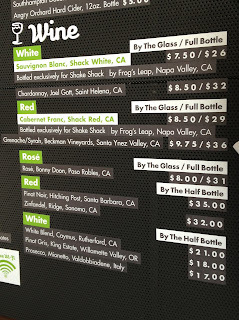 The New York Wine Experience does have a "tasting only" option that costs about the same as the Grand Tour. Just wanted to mention this so you're aware of the different options coming up this year. 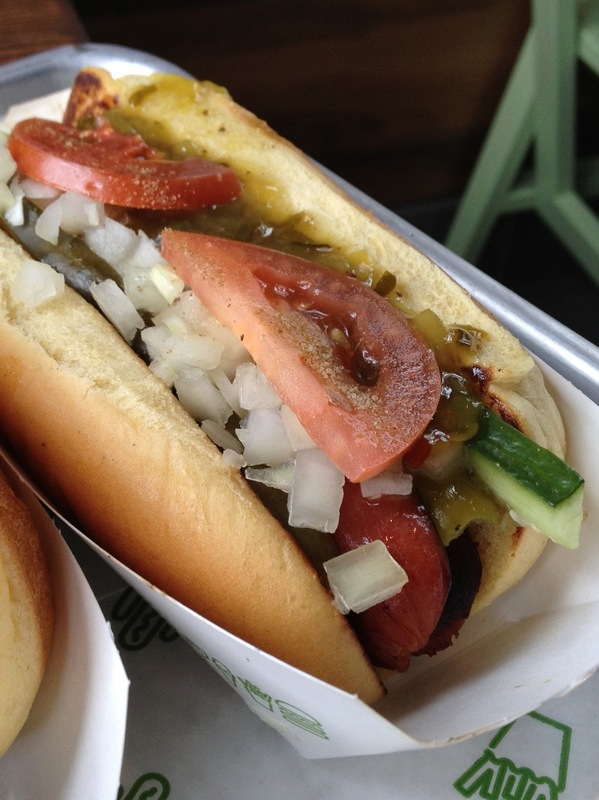 Bonus: The Cubs are in town with day games at Wrigley Field Friday and Saturday! Looking at flights out of Boston they're quite affordable and at convenient times for an overnight. Short flights, fantastic restaurants, awesome hotels, and a world class wine tasting. I hope we can make it. Who's with me? Any chance you might be able to make it? If so let me know - I'm hoping to make it and I'd love to say hello. You can reach me at wellesleywinepress@gmail.com or @RobertDwyer on Twitter. Del Frisco's Double Eagle Steak House in Boston is hosting a series of paired wine dinners from prominent wine regions around the world. California, Bordeaux, Burgundy, and Northern Italy are slated to be featured in their World of Wine Dinner Series. First up: California on Friday, March 22nd, 2013. Applewood smoked pork belly confit, Caramelized Granny Smith grits, cardamom-sage jus. Australian lamb Ribeye, local goat cheese bread pudding, wild berry lamb Demi, watercress. Lemon cupcake with lavender meringue. The World of Wine Dinner Series will launch on Friday, March 22nd from 6 p.m. to 8 p.m. Dinners cost $100 plus tax and gratuity. Reservations are required. Remember that story in the NY Times a while back about Jon Rimmerman? He's the man behind Garagiste, the Seattle wine retailer who sells tens of millions of dollars worth of wine each year via text-only emails to a distribution list of more than 100,000 people. When you hear his story it's easy to imagine yourself living the glamorous life of an importer and merchant of fine wines, meandering around France and Italy developing relationships with growers and producers. Your friends back home ask you to bring them some of your latest discoveries and the gesture turns into a thriving business. Mark and Tom Wilcox are a father-and-son team at Ansonia Wines doing just that. Mark, a long-time wine enthusiast and attorney, spent a year living in Burgundy with his family. At the end of the stint he brought back an assortment of wines he'd discovered to share with friends. After a few months, his friends asked him where they could buy more of the wines. The wines weren't available in the US so Mark expanded the idea of connecting his friends with vineyards and winemakers in Europe into a business, and that's largely what Ansonia is today. But Ansonia works with fewer wineries than Rimmerman. Instead of a different wine each day, they focus on a winemaker’s full lineup, helping customers pick which wines to drink early, which to hold on to, and when to drink those that they hold. They built their reputation in the DC area where licensees are able to purchase directly from importers and wineries. Here in Massachusetts things are quite a bit more restrictive (retailers and restaurants must buy all their wine from state licensed wholesalers) but Tom (the son in the partnership) has acquired a retailer license and through a relationship with a Massachusetts wholesaler Tom is able to offer their wines directly to consumers here. He also offers free delivery in the Boston area. I sat down with Tom to learn more about the business and taste wines from the Ansonia portfolio this week. It was an interesting visit both from the perspective of hearing first hand what it takes to run this kind of business and in terms of learning about an opportunity we have as Massachusetts residents to buy their wines. As you may know, Massachusetts has restrictive wine shipping laws. I learned it's a good thing Mark (the father) is an attorney because they've had to navigate their way through legal restrictions associated with operating such a business. In Massachusetts current laws limit the ability of one entity to concurrently be an importer, wholesaler and retailer. So it takes work to establish a connection between a European winery and an Massachusetts consumer. Most of the producers in their portfolio (around 45 in total) are from France. The common theme across the wines is a focus on small, old world producers offering quality, a pure expression of terroir, and value. 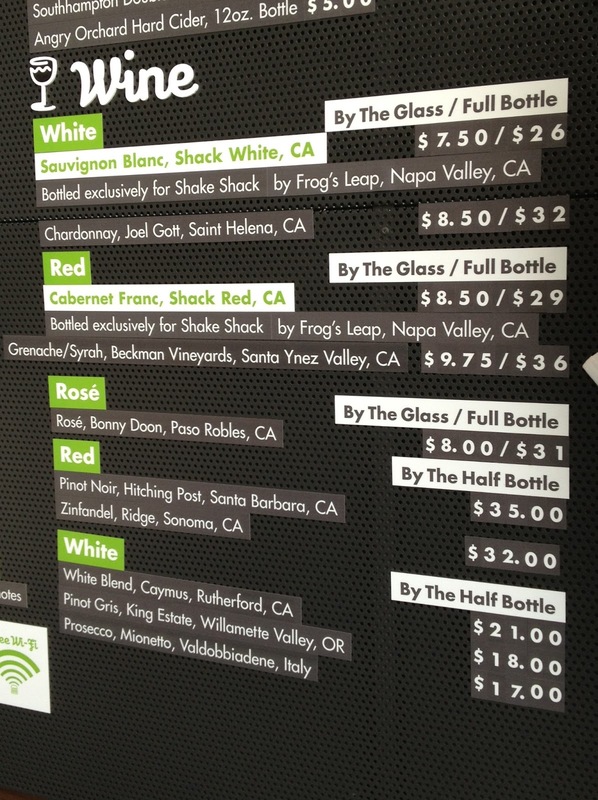 The average price of their wines is in the low $20s per bottle. Burgundies tend to sell for more, less prestigious appellations less. As we were talking, I couldn't help but think of how it's got to be hard to develop a business like this. It's one thing to discover a few great wines on vacation. It happens all the time, right? But it's another thing altogether to develop a track record of discovering the undiscovered. The fact that they work with a producer's portfolio of wines rather than a "once and done" push of a single bottling helps make the business more sustainable I'd think. Most of their business comes from personal referral. Friends telling friends about enjoying their wines and ordering more. If you're in the Boston area reach out to Tom via email if you'd be interested in finding a way to taste some of their wines. They're looking to make friends with wine tasting and social groups in the area. They write about three different wines each week, giving tasting notes and suggesting recipes. You can sign up to receive these posts by email. If you don't live in the Boston or DC area they can ship their wines to states that allow wine shipments. So where does the name Ansonia come from? Ansonia is a small village in rural Northern Pennsylvania where their family has had a cabin on the side of a stream for several generations. They've paid tribute to that special location in the name of their wine business. I like it! I wish Tom the best as his endeavor to create connections between Massachusetts enthusiasts and those who produce the wines. 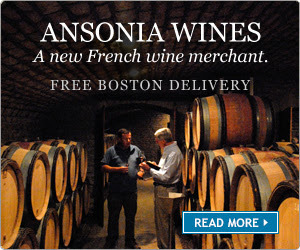 It's my pleasure to have Ansonia Wines as a new sponsor of this site.